If you are a Facebook user, then you should know that by using Facebook, you have given consent to the company to track your activity for advertisers, who in turn hope to show you products that you will want to buy. 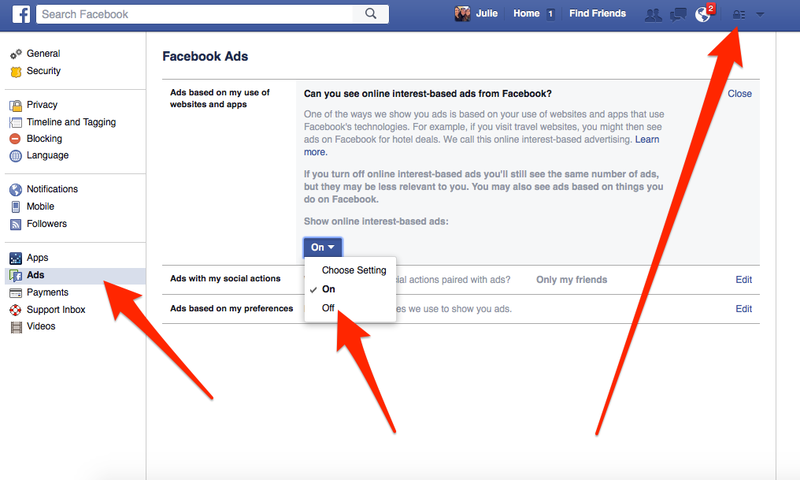 This means that you cannot opt out of ads on Facebook unless you stop using Facebook completely. However, you can do a lot to control the ads you see and stop Facebook from tracking what you do on the rest of the internet in service of its advertisers. Besides all the usual arguments about privacy, there is another good reason to figure out what Facebook knows about you. It shows you ads based on what it thinks you like. The better it does this, the more likely you are going to see ads on things that truly interest you. According to Business Insider, Facebook finds out information about you from what you tell them directly (name, age, marital status, parental status, where you live, work, went to school, etc. ), what you do while you are on Facebook (stuff you have “liked”, groups you joined, photos you shared), and all the other things you do outside of Facebook on the internet. This includes the websites you visit, which track this information via cookies. 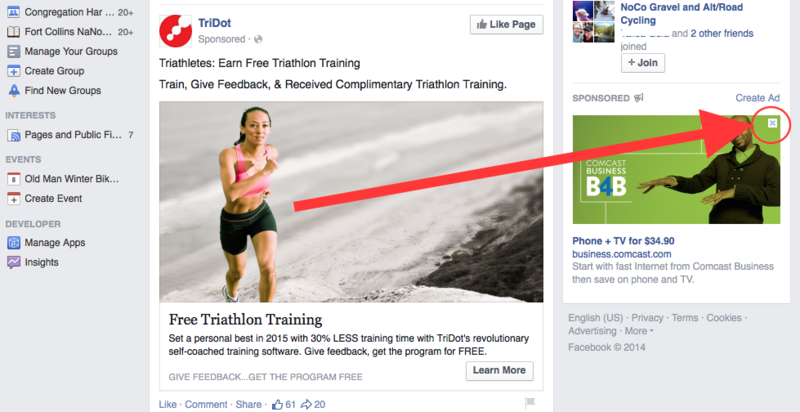 Facebook reads these cookies and uses that information to display ads on its site and other websites. It’s easy to see the things you’ve directly shared with Facebook (and your friends) on your Timeline profile page. 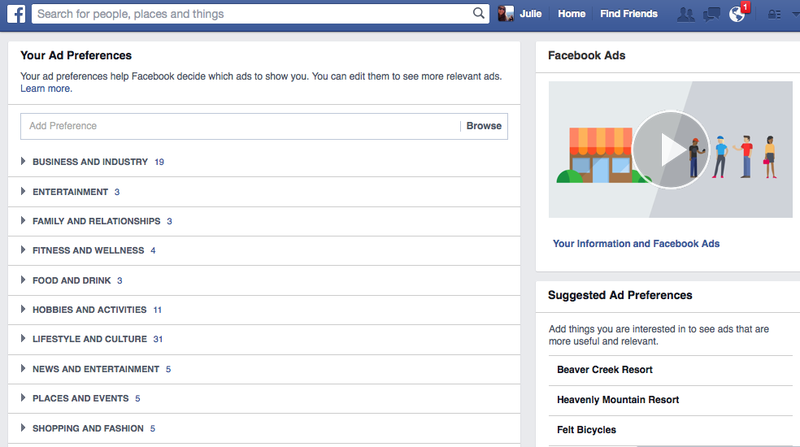 However, to view a full total of what Facebook thinks you like, you need to find a tool called Ad Preferences. So, Facebook has published a slideshow that helps you it, since it may sound unfamiliar. You can find it by using the controls Facebook has inserted into the ads themselves. Go to your Facebook news feed. Move your mouse over any ad you see in the right-hand column and look for the little “x” to appear in the corner of the ad and click on it. Otherwise, you can look for an ad in your news stream, look for a little arrow and click on it. 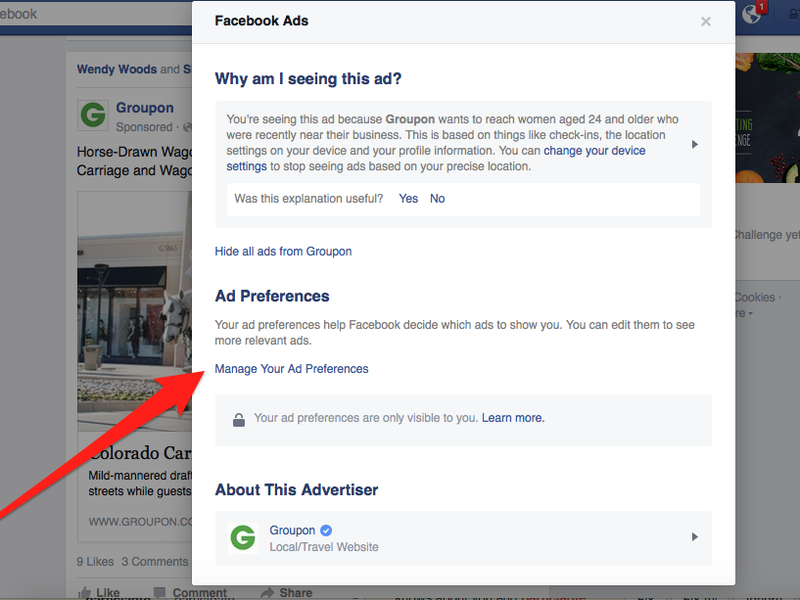 By locating “Why am I seeing this?” you can reach the Ad Preferences page where you can tell Facebook which types of ads you prefer. Based on the things you have liked, you can manage your ad preferences from a list of generic categories. Under each entry are the specific categories and things you have liked. These influence the ads you see. You can also make Facebook stop tracking you on the internet by selecting the lock icon in the top blue bar, then click on “Ads” in the left column and switch it off. 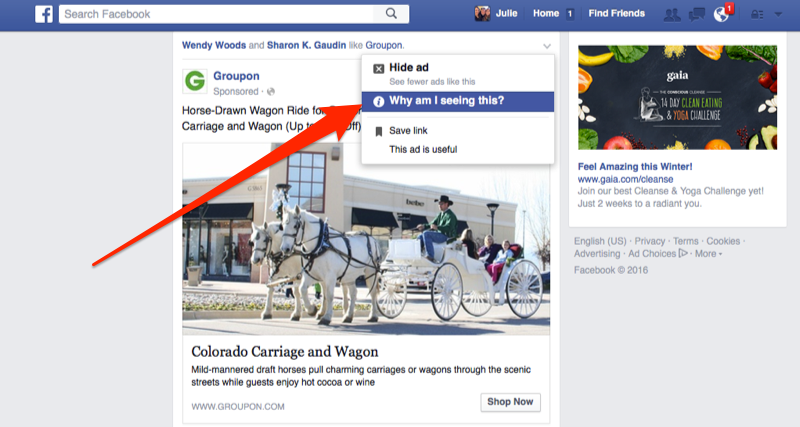 While this will not stop Facebook from showing you just as many ads, it won’t be using your web activity for them. You can also decline other companies from tracking your web activity for ads through the Digital Advertising Alliance in the USA, Digital Advertising Alliance of Canada in Canada or the European Digital Advertising Alliance in Europe. You can also opt out of letting other companies track your web activity for ads through the Digital Advertising Alliance in the USA, Digital Advertising Alliance of Canada in Canada or the European Digital Advertising Alliance in Europe.